The air quality within your home isn’t something you should ignore, especially if you and your family are continuously facing flu-like symptoms. Poor quality air could be the result of a mold infestation which needs to be dealt with immediately to prevent further damage to your home and your health. Before moving into a new home, it is essential to check for mold, especially in areas where there are damp walls, floors, and ceilings. Its presence does not only affect your home’s integrity but can also affect your health if not removed immediately. 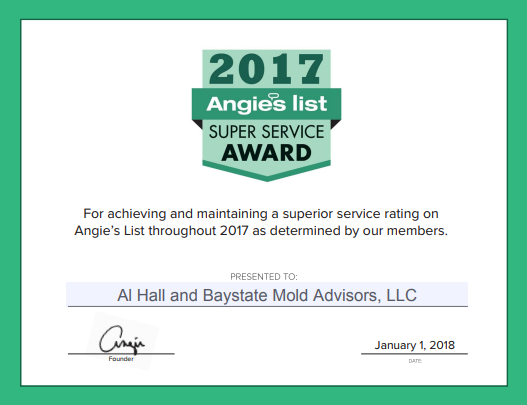 Why You Should Choose Baystate Mold Advisors! Before buying a house, it is smart to get it inspected for troubles you may face when you move in. Besides the structural integrity of the place, you also need to think about the quality of air inside. Poor quality air can result from the presence of mold and other pollutants in the home. These can lead to respiratory congestion, headaches, dizziness, fatigue, and other health issues, which make is vital to consult a mold and air quality testing specialist. Mold isn’t just ugly to look at but can lead to severe medical conditions due to prolonged exposure, which makes getting rid of it essential. Unfortunately, mold remediation is both exhaustive and expensive and is usually best left to the experts. Baystate Mold Advisors wishes you and your family a wonderful Holiday Season, and a happy, healthy, and peaceful New Year 2019! Enjoy the season with love and family! Have You Signed Up For The Baystate Mold Advisors Newsletter? Our email newsletter is a one-stop resource for relevant news and content about Baystate Mold Advisors, indoor air quality testing, mold inspection, and remediation services. With everything you care about in one place, it’s easy to stay in the know about to all things related to mold remediation. If you notice mildew or fungus in your home, you have two options; tackle the problem yourself or seek assistance from a local mold professional. A DIY project can save you money, but if an error is committed and the mold is not properly removed the first time, it can cause serious health issues to you and your loved ones. Mold is a major health concern in homes and office spaces as exposure to damp and moldy environments may cause a variety of health effects. Mold is known to cause nasal stuffiness, throat irritation, coughing or wheezing, eye irritation, or, in some cases, skin irritation. To avoid mold-related health concerns, getting rid of mold and other pollutants become essential. Keep reading to learn about how we helped a client with a severe mold problem. In our industry, the word ‘mold’ strikes fear in people’s hearts. This inherent fear of ‘mold’ propels people to react to a situation hastily rather than thinking about the options they have. Often, there are a few unscrupulous businesses who take advantage of this fear. Busted! Don’t Believe These Mold Myths! If you’ve recently discovered a mold problem in your house, it’s best to consult a professional right away. The worst thing you could do is follow a DIY way out of it with remedies found on the internet. Your mold situation could escalate sooner or come back more aggressively. You shouldn’t risk your family’s health over something that can be fixed easily. If you are moving into a new home, you may assume that it’s a healthy home. However, there may be pollutants and mold that could affect your health. To the untrained eye, mold can be difficult find and you can’t afford to ignore it and risk the health of your loved ones. We Got Super Service Award! The Winter Season is here. Be Safe! Baystate Mold Advisors wish you the happiest of holidays this season. May the New Year be filled with lots of joy, health, and prosperity. 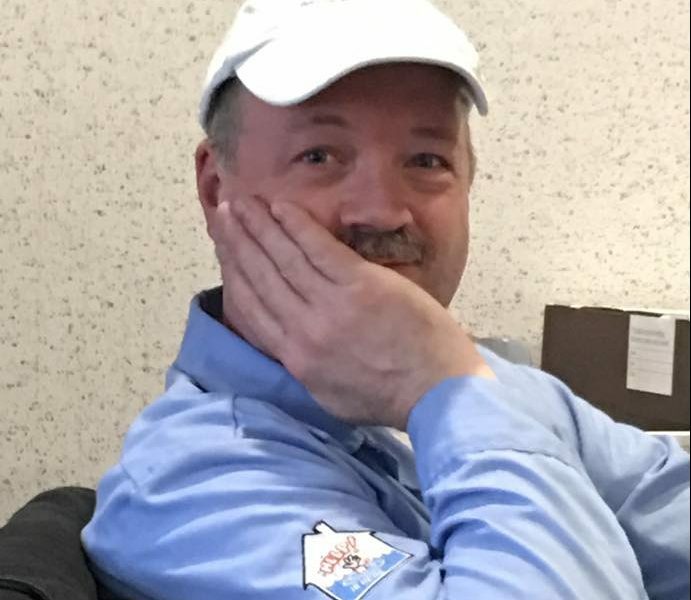 I am Al Hall, proud owner of Baystate Mold Advisors LLC. Today we’d like to introduce you to Al Hall.